Tampa area attorney Alan Zimmet, shareholder with the law firm Bryant Miller Olive, has been selected by The National Academies of Sciences, Engineering, and Medicine in Washington, D.C. to sit on a Transportation Research Board (TRB) panel, which is overseeing a national transportation research project. The 13-member panel, comprised of industry practitioners, will provide counsel and technical guidance as the TRB explores the legal aspects of transit and intermodal transportation programs nationwide. The mission of the TRB, which was established in 1920, is to promote innovation and progress in transportation through research. The findings will be published in the Transit Cooperative Research Program’s Legal Research Digest series, which provides attorneys practicing in the area of public transportation with a single repository of authoritative and well-researched papers on the issues affecting them and their clients. 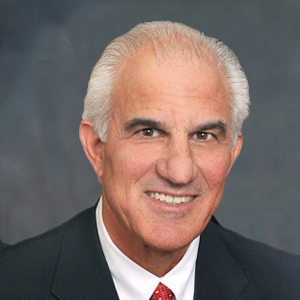 Zimmet has served as general counsel for the Pinellas Suncoast Transit Authority for more than 30 years, and was recently appointed general counsel for the Tampa Bay Area Regional Transit Authority. Having long done transportation-related work in one of the fastest-growing metropolitan areas in the nation, Zimmet brings extensive experience in dealing with transportation issues. With BMO’s State and Local Government Practice, Zimmet represents private entities and local governments, including cities, counties and special districts. Chairing the BMO litigation practice, he primarily focuses on construction matters and other complex civil litigation cases. Zimmet is a certified circuit court mediator in Florida and a trained arbitrator. He has been designated as a Super Lawyer in 2014, 2015 and 2016 and has been awarded the designation of International Municipal Lawyers Association Local Government Fellow.